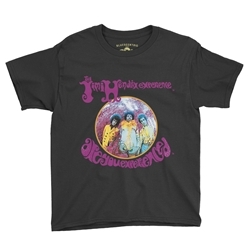 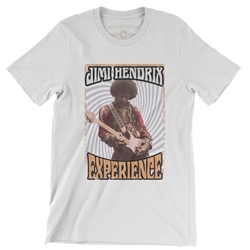 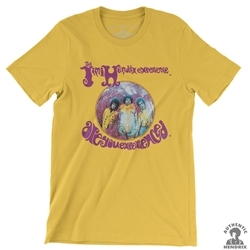 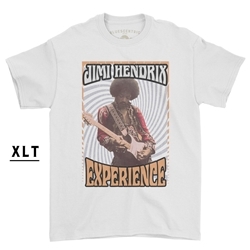 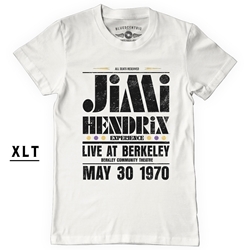 Find the perfect Jimi Hendrix vintage t-shirt, but first... Are you experienced? 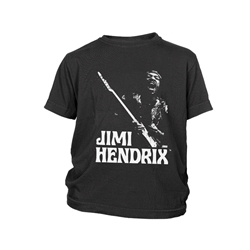 We carry unique Jimi Hendrix t-shirts, apparel, mugs and merch. 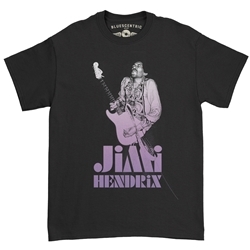 Every piece is genuine Authentic Hendrix, and only available through Bluescentric. 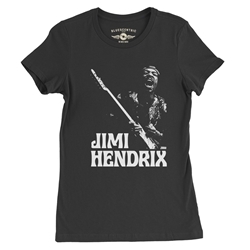 Quality vintage Jimi Hendrix t-shirts and clothing are essential for any rock and blues fan's closet. 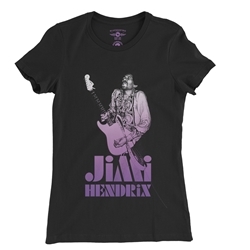 Our Authentic Jimi Hendrix t-shirts and clothing come in a variety of colors, and sizes Small-5XL, women's, long sleeve, and up to 3XL Tall. 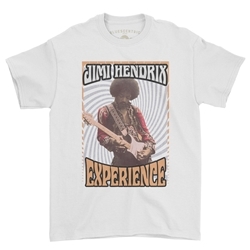 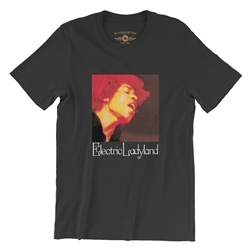 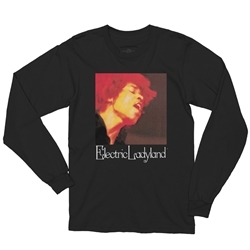 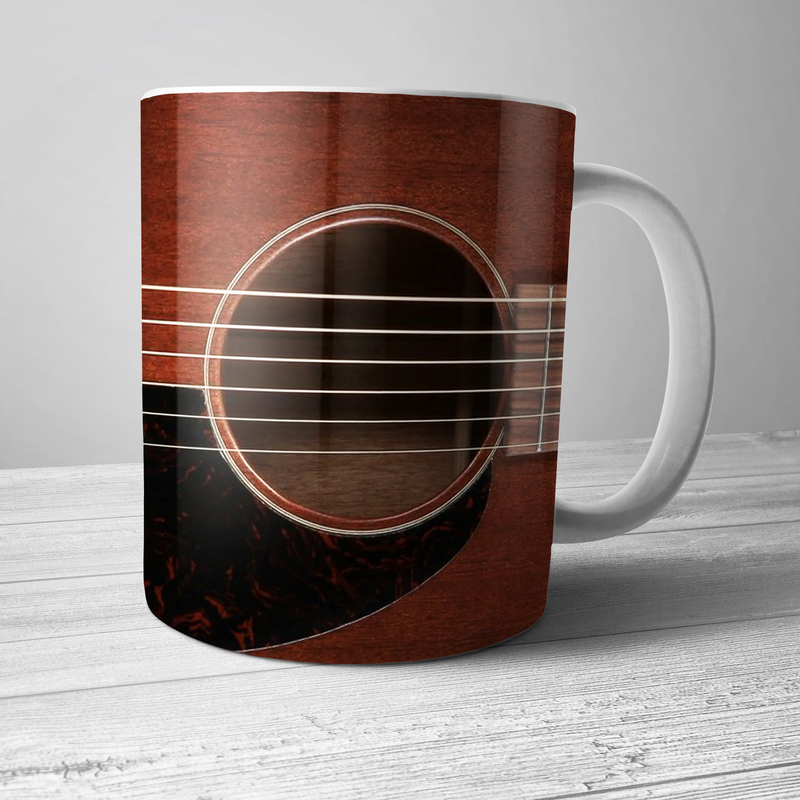 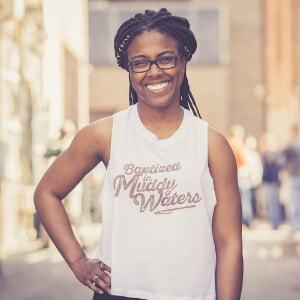 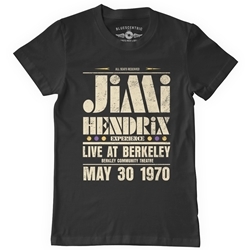 Find unique Jimi Hendrix Concert & Album T Shirts, psychedelic Jimi tees, Hendrix guitar t shirts, and Jimi Hendrix Experience apparel. 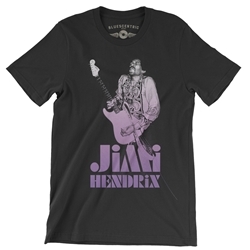 Born James Marshall Hendrix in Seattle, Jimi spent years playing guitar on the Chitlin Circuit backing Wilson Pickett, Sam Cooke, Little Richard and others before exploding in popularity in 1967 with Are You Experienced and a series of performances at London Astoria, Monterey Pop Festival, The Fillmore, The Whisky and Woodstock. 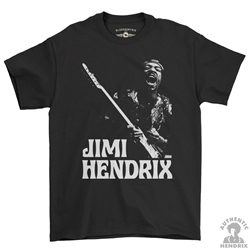 Hendrix fused his love for the blues, R&B, and experimental guitar techniques to create an incendiary new style. 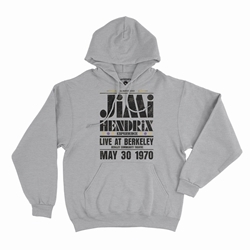 Jimi Hendrix's next two albums were progressively bigger hits, Axis: Bold as Love and his final studio album, Electric Ladyland, which reached #1 on the U.S. charts. 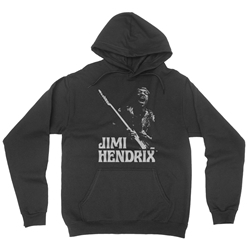 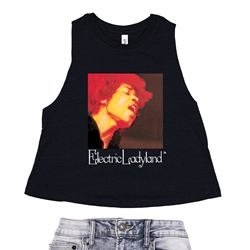 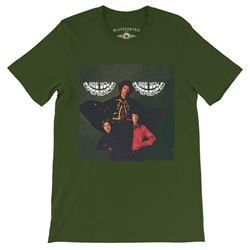 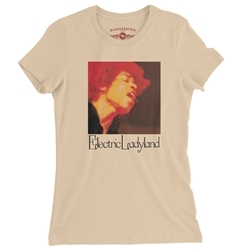 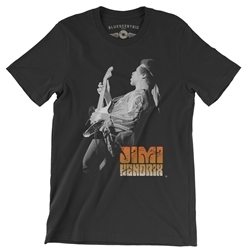 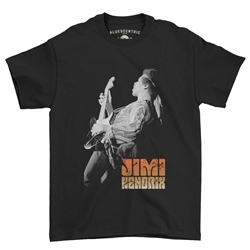 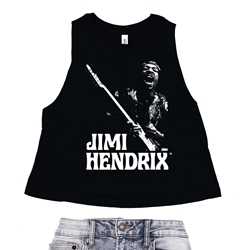 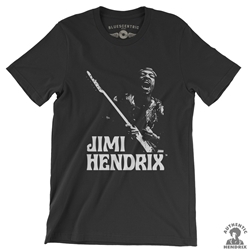 Music fans are sure to find the perfect new Jimi Hendrix t-shirt here.